EDIT 8 September 9.43am: GO AHEAD SG FINALLY CALLED. ALL MY QUESTIONS ANSWERED AND YES, ISSUE IS RESOLVED AMICABLY. 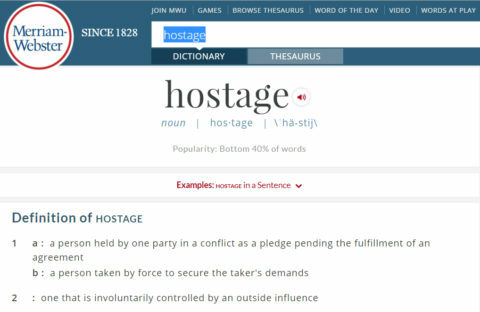 Just to be clear, this is the definition of hostage because we were clearly held by the driver before we could get out. 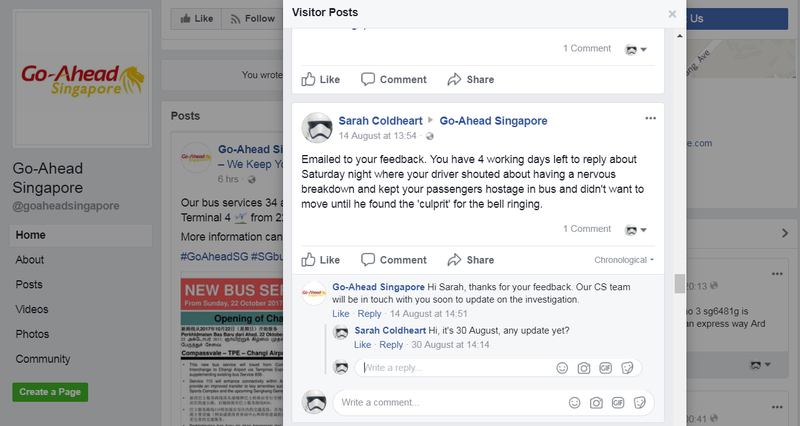 Here’s a timeline so everyone is clear and that I was ‘fair’ to the Go Ahead Singapore‘s customer service team. ALL OF THIS was from my twitter and facebook because there’s timestamps and if you want to search it you can. I tweeted it “live” because I was worried on what was happening especially with all those terrorist attacks in other countries. Plus the Singapore Police Force did tell us to be vigilant. 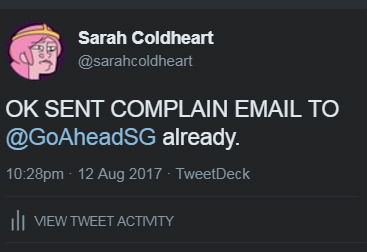 It happened on 12 August so I sent a complain email straight to their website under their feedback form once I got onto a computer. That was 10.28pm on 12 August. It showed we will reply in 5 days. Ok can. Also it was a Saturday so fine, maybe people don’t work weekends I was expecting maybe a reply in that week of 14 August at least. 14 August, around 4.49pm they called and told me that they are investigating and will see what happened with the cctv. I was happy on this. Generic but at least they said they will update me. Ok, but from the FB, no updates on 30 August. Because from other people, I heard they don’t reply to their customer service complains properly (is that true or false? ), let me tell EVERYONE WHAT HAPPENED THEN. PROLOGUE OVER, Let’s get to it. 12 AUGUST, around 9pm at Nex. It’s that narrow street where cabs, uber/grab try to go pick up their passengers and the bus stop is also packed from turning around the corner. If you have been to Nex, you know where it is. A cab blocked the road cause it didn’t want to go forward, silly really but someone had enough (it took around 5 minutes) and asked the driver to freaking move. All the buses were stalled and oh I could finally see the bus I needed to get on! Got on the bus, everyone is happy finally that the road is not blocked and yay we moved in. At that point, the driver starts to say “I KNOW YOU ALL DON’T LIKE ME BUT THIS IS CALLED DRIVER ABUSE”. I was sitting near the front and I was confused? It was so negative… but ok. It was still moving along the road. And then we realized it was really slow because he stopped the bus and said that because of the ringing he feels that he is unstable. HIS EXACT WORDS. If you can get the CCTV footage of it all, you’ll see this actually happened. He didn’t let us get off the bus and since it was just two or three stops journey it was still in the ‘beginning’ and people are starting to be ?????????? A nice teenage Chinese boy, maybe even polytechnic age came down from the double decker to ask him if he’s ok and he says he’s not if the bell keeps ringing. The boy tells the driver to relax and he’ll be upstairs to see if anyone is pressing it and says loudly for us all too, we will see if anyone is pressing at the first floor. The driver insists it is the first floor because the bell dings and will only BUZZ if it is the second floor. The boy also told the driver, maybe the bell is broken? But the driver insists it is someone. Anyway the boy managed to calm him down and he went back into the driver’s seat. At that point, my friends were also wondering what the heck is happening. You should totally note the time stamp on these, because IT TOTALLY HAPPENED AGAIN. The bell kept ringing, everyone looked at each other and really. By the way, the bus wasn’t really moving still, just a super slow drive. The kind you walk next to it and still can over take it. It gave us a brief moment of hope. And it made us wonder, faulty or is it someone? But then it rang again. If it was someone… we wouldn’t know because no one was touching the bell because at this point EVERYONE was looking at each other and wondering what the heck was going on. If you can’t see the license plate was 3457Y if you guys are into 4d or whatever. I was tweeting this while waiting for a bus to get to my destination. Other notes: The driver was on the radio with his HQ and calling them to tell that the bell is ringing and driver abuse is happening bla bla. Passengers were also getting disgruntled at him because he was NOT letting anyone off. You know how we got off? The nice boy came down again from the second floor and told him maybe let us out at the next bus stop and can see how it is then? He was already telling people who were video-ing/complaining to call the police because he was so sure it’s someone in the bus who did it and that there’s 11 cctvs in the bus! Another fact I learned. SO IF THERE ARE 11 CCTVS IN THE BUS SURELY CUSTOMER SERVICE WOULD HAVE MANAGED TO INVESTIGATE RIGHT? AND THAT IS THE END OF THIS INCIDENT. 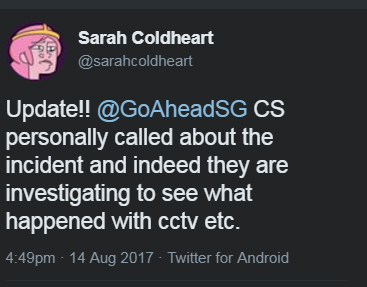 Until now, no response from Go Ahead SG besides that call. I’m going to cc LTA this blog post and also give a brief info about it because really, someone has to tell me something! 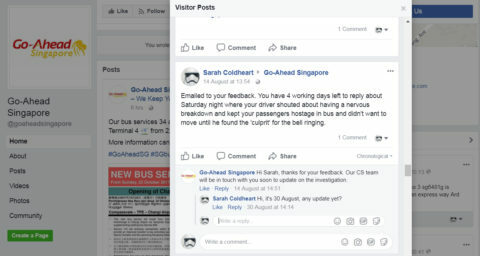 In my feedback email on 12 Aug to Go Ahead SG, I asked if the driver was going to get counselling and go on paid leave maybe? AND BEFORE ANYONE BRINGS ANY POLITICS INSIDE, the driver is a local senior Chinese man. So none of that nonsense. 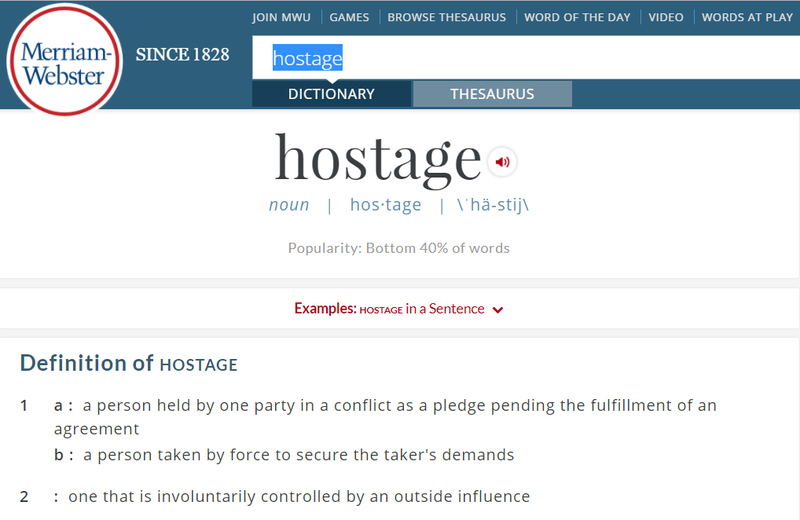 WHAT HAPPENS IF FUTURE DRIVERS HOLD HOSTAGE PASSENGERS WITHOUT LETTING THEM OUT? What do we do? Because he is the captain of the BUS, can drive anywhere, stop it or into ANYTHING. 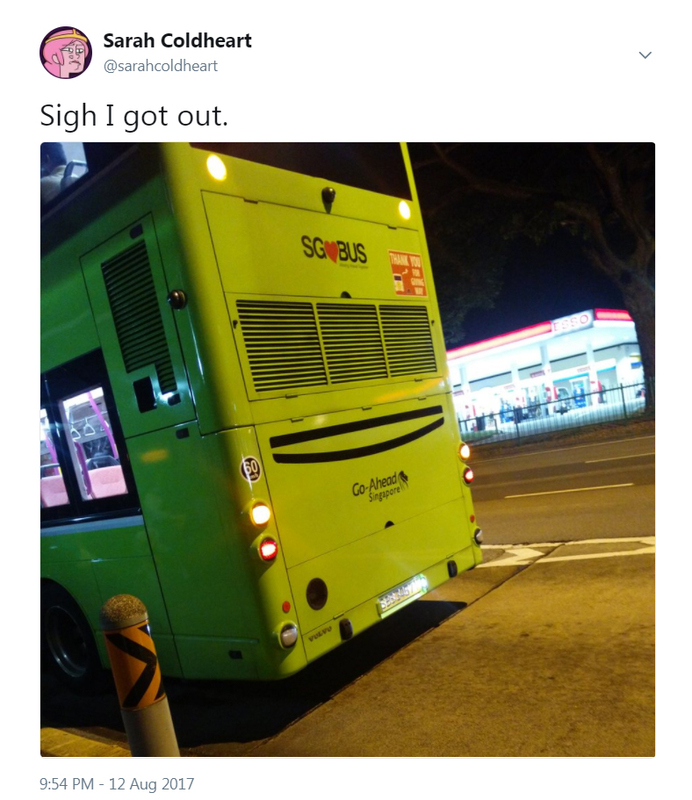 Edit: Edited for typos and tldr, driver didn’t let anyone out of bus until he knows who presses the bell.